Ready for an afternoon dedicated to guitars and free music? 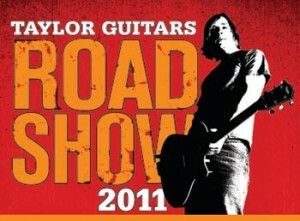 Check out the Taylor Guitars Road Show on Sunday, October 23rd beginning at 2PM at the Tivoli Theatre in Downers Grove. The doors open at 1PM allowing visitors to preview Taylor’s wide array of custom guitars. The show will feature demonstrations and a live performance by Grammy award-winning American jazz and acoustic guitarist Wayne Johnson (starting at 2PM). There is no admission charge for this event, so if you like guitars, check this show out.